I did this 3 times and it always comes out differently, except for the top 5. 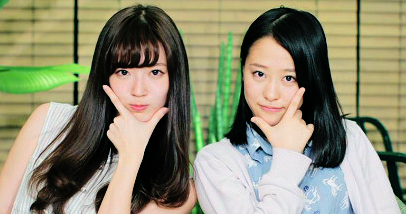 And when in doubt, I usually voted MM>S/M>C-ute>Berryz>Soloists>UUG>Eggs. Part of UP-FRONT Kansai (& idol group Pizza-Yah). 21 was Dawa, in case you want to adjust by also removing Kikka. Had a sudden urge to rank KSS after seeing clips from the diagnostic tests. So these are the ones I have bonus attention and bias on. Kind of awkwardly cut off at 9, but since I wouldn't call #10 "one of my favs" (it was Nanamin), I didn't include her and the ones after. Everyone has potential and I want them all to debut but I know that might not be realistic. Whoa, has it been over 2 years since I did rankings? It's been updated again to exclude Berryz. I think I need to buy a rack for all these ties! But hey, nobody got stuck with zero points this time! 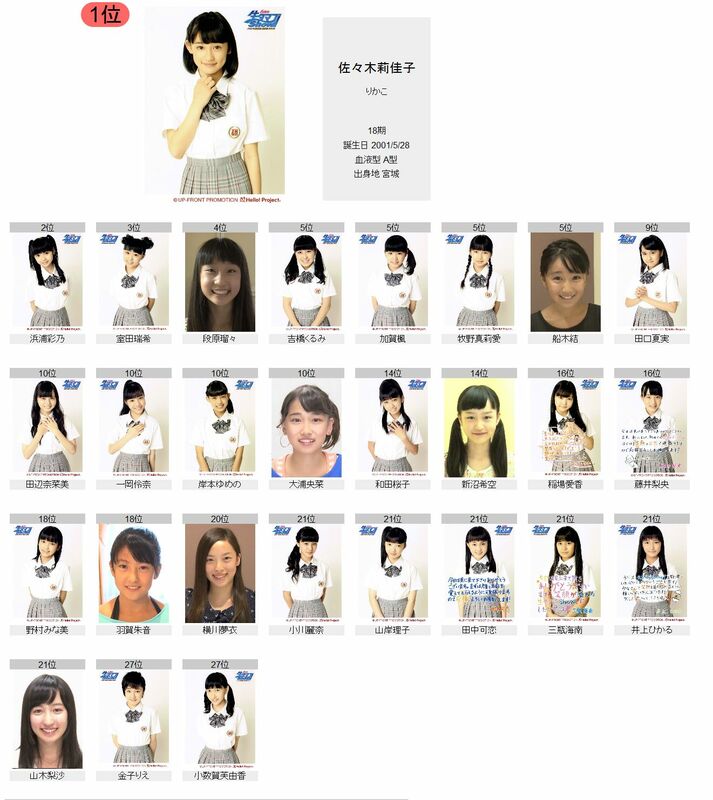 And the lack of Berryz, Up Up Girls, or Trainees made this list a lot less overwhelming. Speaking of zero points, last time I did this it was Sayubee who got stuck with the lone zero, but this time she's tied for 10th with 4 other girls. Started from the bottom now she's here! Other notable rises are Maachan and Sakura, displacing Eripon's position amongst the Musumes. My C-ute and S/mileage Angerme rankings remain steady, but the presence of Juice=Juice has disrupted things a bit. Once again, noobs tended to rank low for me by default. 12th gen round out the bottom of my Momusu rankings, while Country Girls and Kobushi Factory are currently at the bottom of my overall rankings (though each with notable exceptions). Still, the lack of Berryz is painful. 13位 牧野真莉愛 102p - Maria, also fun to watch and cute - but where the hell is Utachan?? SO yeah I really like newbies LOL. How do you guys still manage to do these rankers? As the years pass, more & more of my favorite graduates get omitted & the list get populated with more & more "who are these peoples" whom I know nothing about. In fact, I haven't been able to complete a ranker since Ogawa Sakichy left the company!